Centrally located just north of Davis Monthan Air Force Base at the corner of Golf Links and Alvernon roads, 100-Acre Wood will be Tucson's first progressive skills mountain bike park. For more information on 100-Acre Wood Bike Park click HERE. Located on an 80-acre parcel that lies south of 36th Street and west of La Cholla Boulevard (northwest of Mission/Ajo), this park includes a small peak at its north end. The park will offer two loops, one relatively flat that is approximately 2.3 miles long, a second trail, 0.6 miles long, that climbs up and encircles the peak, and a third trail, 1/3 mile, that climbs to the top of the peak. 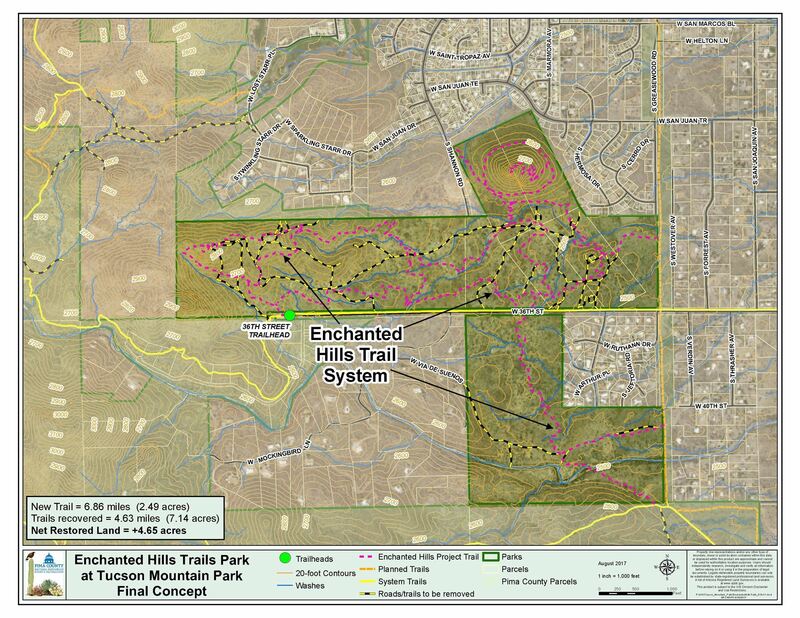 These trails will provide a much needed beginner-level trail network, as well as several more technical intermediate-advanced level trails. Current Status: Design is completed. Currently under construction with assistance of National Civilian Conservation Corps Crew. The Mockingbird Trail involves two sustainable reroutes and one brand new section of trail in the Starr Pass area of the Tucson Mountain Park. The new section of trail will connect Explorer Trail as it heads over Cat Mountain saddle down to 36th Street Trail. This is an exciting project that will both increase sustainability of trails in the Tucson Mountain Park as well as provide new terrain and increased loop potential in the Starr Pass area. 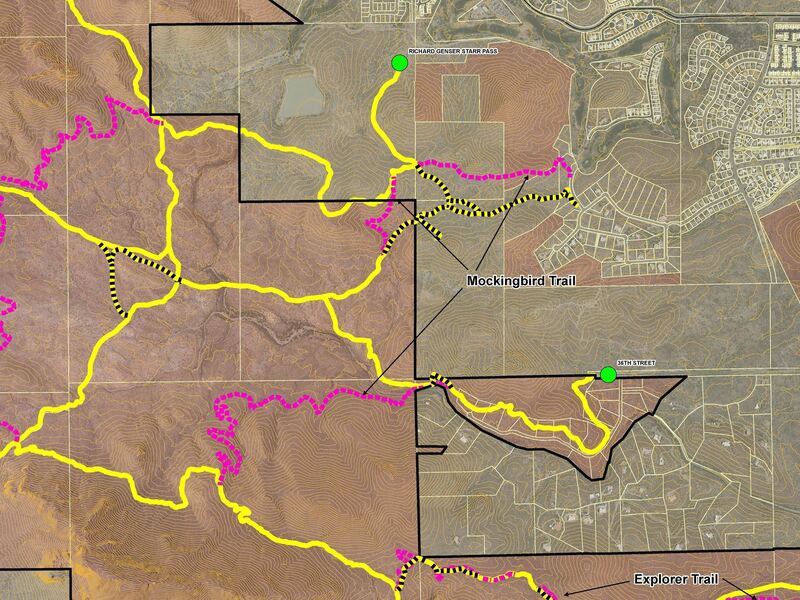 Sustainable reroutes will include the Starr Pass trail just south of Rock Wren (known as "the Wall") and on Explorer Trail between Ledge Surfer and the Explorer TH at Kennedy Park. Current Status: Design is completed. Construction to begin late-spring - summer 2019.